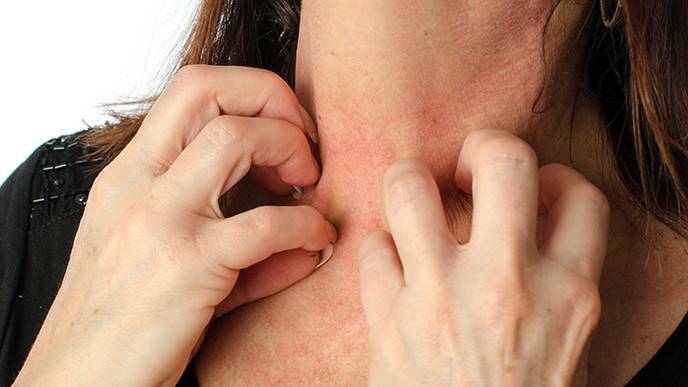 When someone has a severe allergy, the life-threatening effects of an exposure are nearly instantaneous - skin rash, fainting, labored breathing, weak pulse, racing heart. This response -- anaphylactic shock -- has a straightforward cause and effect. But underlying that process has been a physiological puzzler: How does this massive reaction happen so quickly? It is understood that mast cells are the main actors in anaphylactic reactions as they engage in what's called degranulation -- the release of histamines and other inflammatory substances into the bloodstream, leading to systemic shock. But it was previously unknown how mast cells, which are located outside of the vascular system, were alerted to an allergen circulating in the bloodstream. As these allergen-bearing vesicles make contact with mast cells throughout the vasculature of the body, a torrent of inflammatory mediators are released into the bloodstream, quickly resulting in anaphylactic shock.